The US Food and Drug Administration (FDA) has issued a safety communication warning that GlaxoSmithKline’s lamotrigine (Lamictal) for seizures and bipolar disorder can cause hemophagocytic lymphohistiocytosis (HLH), a rare, but very serious immune system reaction that excessively activates the body’s infection-fighting immune system. As a result of the warning, the agency is requiring the prescribing information to add a new warning about the risk. The reaction can cause severe inflammation throughout the body and lead to hospitalization and death, especially if the reaction isn’t diagnosed or treated early enough. HLH usually presents with a persistent fever, usually greater than 101°F and can lead to severe problems with blood cells and organs throughout the body like the liver, kidneys and lungs. Since the FDA approved Lamictal in 1994, there have been 8 identified cases worldwide of confirmed or suspected HLH associated with the medicine in children and adults. There was a reasonable amount of evidence that Lamictal was the cause of the reaction based on timing of events and the order of occurrence. Patients in the cases required hospitalization and received drug and other medical treatments. One patient died. Lamictal, used alone or with other medications, is indicated to treat seizures in patients 2 years and older and may also be used as maintenance treatment in patients with bipolar disorder to delay the occurrence of mood episodes like depression, mania or hypomania. Stopping treatment with Lamictal without discussing with a provider can lead to uncontrolled seizures or new or worsening mental health problems. Health care professionals should be aware that prompt recognition and early treatment is important for improving HLH and decreasing mortality. Patients who develop fever or rash promptly after taking Lamictal should be evaluated and discontinue treatment. Patients taking Lamictal should be advised to seek immediate medical attention if experiencing systems of HLH, which can be diagnosed if a patient has at least 5 of the following 8 symptoms: fever and rash; enlarged spleen; cytopenias; elevated levels of triglycerides or low blood levels of fibrinogen; high levels of blood ferritin; hemophagocytosis identified through bone marrow, spleen or lymph node biopsy; decreased or absent Natural Killer Cell activity; or elevated blood levels of CD25 showing prolonged immune cell activation. HLH can occur within days to weeks after starting treatment. A physical examination, specific laboratory blood tests and other evaluations are used to diagnose HLH. 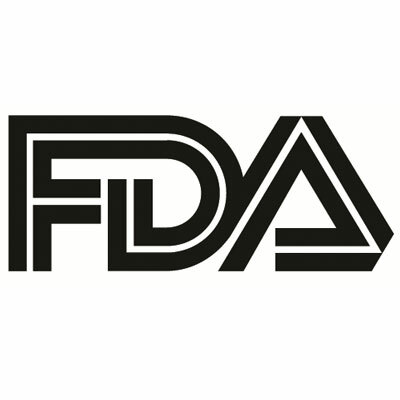 The FDA has previously communicated safety information associated with Lamictal in September 2006 about a possible association between Lamictal exposure during pregnancy and oral clefts in newborns, and in August 2010 regarding an aseptic meningitis warning. In May 2009 lamotrigine was also reported because of concerns about suicidal thoughts and behavior with the entire class of anti-seizure medicines.